Steve Hogan and his wife, Nancy, leave New York on Labor Day to drive to Maine to collect their children from summer camp. Steve feels himself ‘going into the tunnel’, an expression he uses privately to describe his desire to go on a drinking binge. Steve suffers from feelings of inadequacy due to the fact that Nancy has a more prestigious, better-paid job than he does and because it is he who has to get home early every day to mind the children. He feels emasculated and resentful. Steve finally passes out and when he comes to the following morning, he discovers that his wife has been attacked and raped – by Halligan. Nancy, the successful career woman, has been punished, in the age-old way, for striking out on her own. 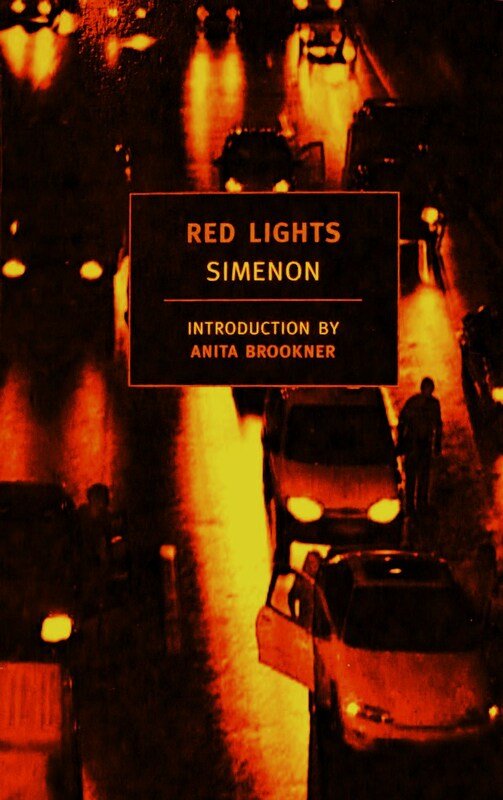 However, even aside from any reservations about its narrative, Red Lights cannot be regarded as among Simenon’s best work. One of Simenon’s greatest assets is his ability to seamlessly weave together the past and present of his characters, so that we understand how they came to be as they are, and, thus, that they have little choice but to act in the way they do. In Red Lights, however, we learn little about Steve’s past and, as such, have little understanding or sympathy for him. The characterisation is thin. Even his name is unconvincing; Steve Hogan sounds more like the name for a cowboy in a B-move western. As in another of Simenon’s American novels, Three Bedrooms in Manhattan, the characters are not located in any one place. They are drift from bar to bar, finding a freedom in frequenting places where nobody knows them. In Simenon’s European novels, his characters are typically rooted in a particular location and routine, and are unable to ‘be themselves’ for fear of being seen to act out of character. Simenon had lived in the United States for eight years by the time he wrote Red Lights. Perhaps America, for him, represented a place in which to exist unfettered by one’s past, but it is precisely because Steve Hogan exists only in the present tense of Red Lights that it lacks power and psychological depth. First published as Feux Rouges, 1953. NYRB edition 2006, translated by Norman Denny.